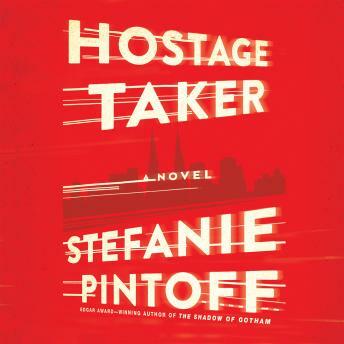 From Edgar Award winner Stefanie Pintoff comes the start of an electrifying new thriller series featuring Eve Rossi, head of a secret division of the FBI-one made up of ex-convicts with extraordinary talents, oversized egos, and contempt for the rules. Perfect for readers of Iris Johansen and Catherine Coulter. Terror Strikes an Iconic Church-And Brings a City To Its Knees. In the hushed quiet of early morning Manhattan, in front of the towering brass doors of Saint Patrick's Cathedral, a young woman holds a sign that reads: Help Me. For one FBI agent, a madman's terrified hostages, and an entire city, a long and harrowing day is about to unfold. The hostage taker's identity is unknown. But he knows who FBI agent Eve Rossi is-and everything about her past. Along with her presence, he demands five witnesses: ordinary people with some hidden connection. Defying her superiors, Eve begins a deadly dance with an adversary whose intentions are surely sinister, whose endgame is anything but certain, and whose cunning keeps him one step ahead at every turn. As Eve manages a taut hostage situation, she relies on the combined skills of her team-a secret unit inspired by France's most notorious criminal and made up of ex-convicts with extraordinary talents, oversized egos, and contempt for the rules. Eve is up against a rapidly ticking clock. But the dangerous man calling the shots has a timetable of his own-and a searing question for his targets: What are you guilty of? As shocking revelations surface, so does another crisis nobody could anticipate-one not even Eve and her team may be able to stop.